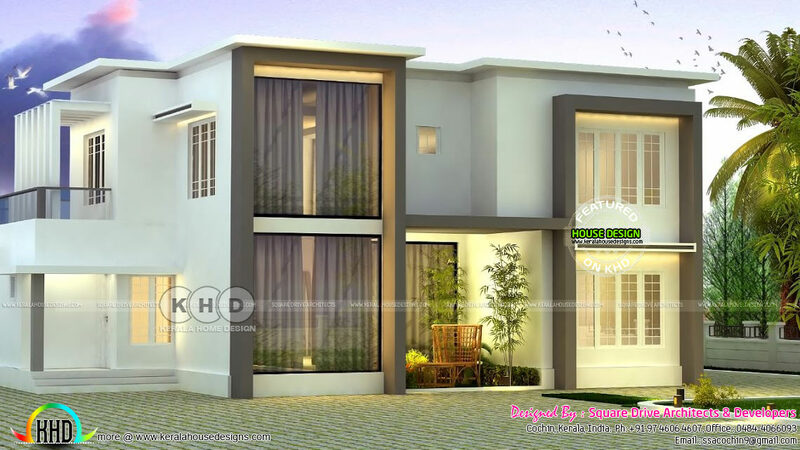 2000 Square Feet (186 Square Meter) (222 Square Yards) 5 bedroom modern flat roof house. Design provided by Vinod Pulickal, Square Drive Living Spaces, Cochin, Kerala. 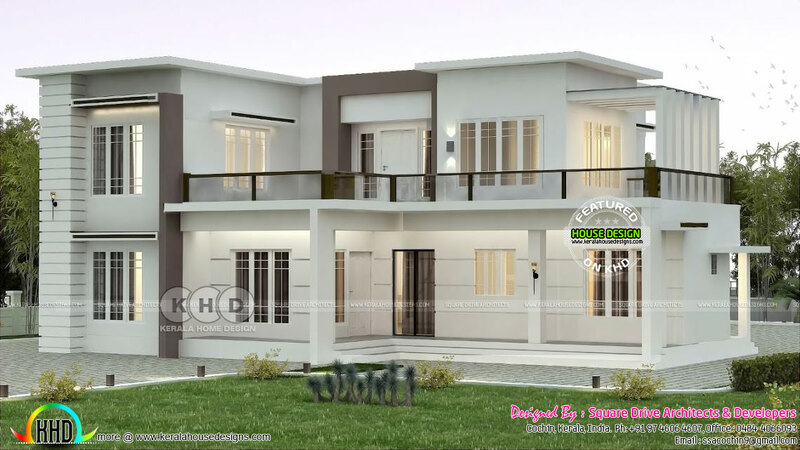 0 comments on "2000 sq-ft flat roof home plan with 4 bedrooms"